Welcome, Dear Ones to my newest series called Leaving Lennhurst. Three stand-alone historical romances. 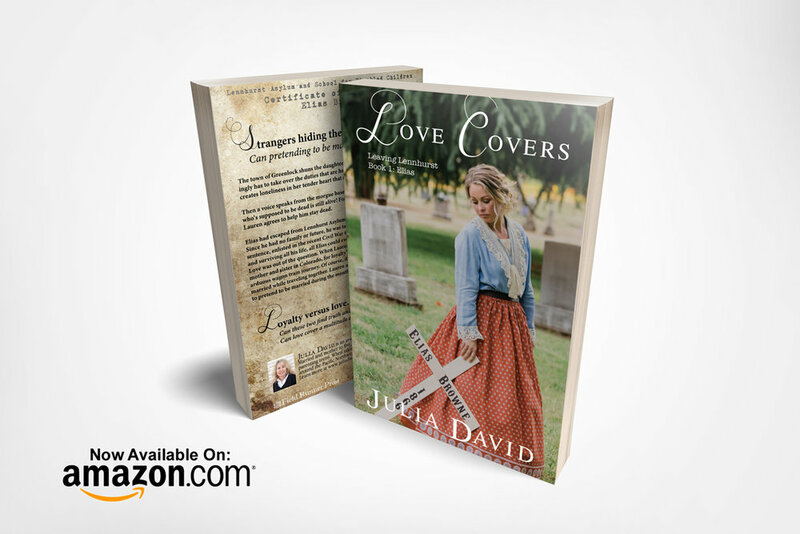 Love Covers (Elias story) Love Flies (Patience story) and Love Protects (Anna’s story). All three main characters knew each other as children at Lennhurst Asylum and Hospital for Disabled Children. The setting for all three books is just after the civil war and now as adults, how are they fairing in the big unpredictable world away from Lennhurst Asylum? Lauren is Covered in dread as the towns mortician’s daughter. They leave town in a Covered wagon. And most of all, Love Covers a Multitude of Sin. Did I cover that okay? Much more coverage, romance, intrigue inside the book.